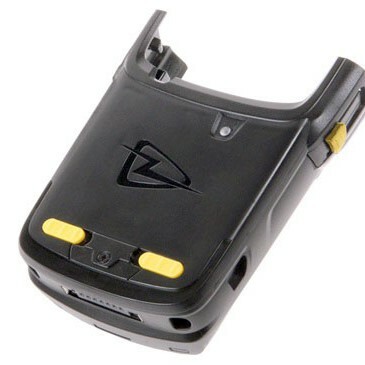 This snap-on peripheral provides the Motorola™ MC55, MC65 or MC67 with the functionality of reading and writing to most 13.56MHz ISO transponders. The HF RFID reader is powered from the Motorola terminal and houses both the RFID reader and the antenna. The HF RFID reader provides the ability to read and write to a wide variety of transponders at HF 13.56MHz frequency including ISO 15693, ICODE (I & II) and the complete Mifare family of ISO14443 (A&B).